Newcastle United - Downfall Of The Tyneside Empire? You are here: Home » COVER STORY » Newcastle United – Downfall Of The Tyneside Empire? Newcastle United – Downfall Of The Tyneside Empire? There is a sense of tranquility along the waters of the river Tyne today. The place, which was buzzing with the vibrant activities of industry workers until the 19th century, today oozes calmness, thereby acting as a catalyst for a feeling of contentment within one’s own. However, the club that we refer to as Newcastle United, hailing from the north-eastern county of Tyne and Wear, fails to reflect the same aura as its neighbouring water body. Newcastle United has struggled to breathe a certain style of football since its inception. There have been several world class players who have donned that famous black-and-white striped shirt, but such has been Newcastle United’s fate that every time they seem to be waking up with a stronger team, something goes wrong somewhere; therein starts a snowball effect, eventually bringing them down to rock bottom by their own standards. The current owner Mike Ashley has been criticized beyond belief by fans and players alike; and going by the looks of it, the direction in which his actions are taking this illustrious club to is surely a growing cause for worry for the fans of Tyne and Wear. How did the club end up in such an abysmal state? Right from the time Newcastle United was born out of two local sides, Newcastle East End and Newcastle West End, which were in turn born as offshoots of two cricket clubs in the late 1800s, its existence as a football club has been nothing short of a roller coaster ride. Over time, several famous faces have been a part of this ride, but it was one man who started the Toon Revolution began. Before we come to know about it, here’s a quick rewind. The year was 1976. The First Division season had just ended, and Newcastle United had survived it. During the same season, the club reached the League Cup Final but failed to win against Manchester City, leaving them trophy-less. The then manager Gordon Lee made a wrong decision of selling star striker Malcom Macdonald to Arsenal, which was essentially the straw that broke the camel’s back. Newcastle was hit hard by Macdonald’s departure, and Lee eventually quit the club for Everton. Richard Dinnis soon took over as the next manager at Tyneside. However, his reign was short-lived, as the club failed to muster enough points in the 1977/78 season to ensure First Division football in the next campaign. As a result, the Toon Army had to march down to Second Division, where they never felt they belonged. The axe fell on Richard Dinnis, while the baton was passed onto Bill McGarry for a short while, after which Arthur Cox took over. Cox was instrumental in bringing Newcastle back to top flight football at the end of the 1983/84 season. With the likes of Kevin Keegan, Peter Beardsley, Chris Waddle and Terry McDermott in the side, Newcastle United looked like it would once again regain its much ambitious status of a side playing beautiful, attacking football. The presence of such high-profile players sure did sustain Newcastle in the First Division football, but the finances weren’t really performing particularly well. Also, when the club went through a period where it sold the likes of Beardsley, Waddle and Paul Gascoigne, its charm and panache faded in no time. In 1989, the Magpies again found themselves languishing in the Second Division. The club no longer attracted the massive numbers through the club gates, and lower earnings led to lower wages. Overall, the dark clouds over Tyne and Wear were thick, and to make matters worse, the club’s league was form was dismal to say the least. They were sitting at the wrong end of the table, and Third Division was beginning to look like a scary but imminent possibility. At this moment, one man came to the rescue of the club. In 1991, a Tyneside entrepreneur and property developer named Sir John Hall took part control of the club but full control of their problems. He closely examined the club’s dwindling fortunes and its dying health. “We are haemorrhaging money at the rate of between £600,000 and £700,000 a year in interest charges. The financial position is such that we have reached a point where I couldn’t sit on the sidelines any longer”. – Sir John Hall. Sir John took the onus upon himself to formulate Newcastle’s revival. The first move he made was to replace the then manager, Osvaldo Ardiles, with Newcastle hero Kevin Keegan. Keegan came back from retirement to take charge of matters on the pitch, while Sir John pulled the required strings to strengthen Newcastle’s financial muscle. He supported Keegan with the necessary funds to bring in players who would make Newcastle one of Europe’s elite clubs, alongside the likes of Roma and Barcelona. Barry Venison, John Beresford, Paul Bracewell, Robert Lee and the legendary Alan Shearer were purchased. Keegan understandably saved the club from further relegation. Sir John soon took over complete control of the club in a matter of few months, which put him in the driving seat for further renovation. The stadium capacity was increased manifold, and from then on till today, St. James’ Park boasts of a 52,000 capacity. Players like Les Ferdinand, Shearer and David Ginola were taking the club to new levels, and there was euphoria in the county of Northumberland. – Jackie Milburn: A player who joined the Tyneside club at the tender age of nineteen in 1943, Jackie Milburn has scored the second highest number of goals behind Alan Shearer; but at a ripe age of 33, he departed the club for Irish League outfit Linfield. This took place at a crucial time, when the club was pushing to contest in the First Division but was turned down by the ruling committee due to lack of votes. – Malcolm Macdonald: Malcolm was purchased by Newcastle in 1971 for a record fee of 180,000 pounds. Another prolific striker who scored 95 goals in 187 appearances for the Magpies, “Supermac”, as he was rightly nicknamed, was sold to Arsenal in 1976, a move which even the player did not understand. This transfer happened under the supervision of Gordon Lee. “I loved Newcastle, until Gordon Lee took over” – Macdonald After Departing Newcastle for Arsenal. – Andy Cole: it was after the purchase of the famous Andy Cole that Newcastle gained promotion to the Premier League at the end of the 1993/94 season. A striker who had tremendous pace, skill and great footwork in the box, Cole soon established himself as one of the most diminutive strikers in the league. Things changed during the 1994/95 season. Newcastle United finished third in the league and lost a European spot; at the end of the season, to everyone’s surprise, Kevin Keegan sold Andy Cole to arch rivals Manchester United for 7 million pounds. End of another No.9. – Andy Carroll: Prior to their current Premier League status, when Newcastle were in the Championship, manager Chris Hughton decided to lock up that No.9 jersey as there seemed to be no one who could’ve earned it. However, a local lad aged 20 scored nineteen goals in the championship, which led to Hughton handing over the prestigious shirt to the player. Carroll enjoyed a fantastic season with Newcastle in top flight football till the winter break of the 2010 season, but a deadline day bid of 35 million pounds left the fans in disappointment as they watched their local lad and the next No.9 leave the club. Owner Mike Ashley was more interested in the 35 million he was getting in return. Having spoken about Sir John Hall, one cannot miss out on his partner Freddie Shepherd. Freddie joined hands with Sir John in full capacity during the earlier nineties, when Newcastle was about to undergo renovation on all fronts. The first and, for the matter of fact, only good thing Shepherd has done for the club is bringing in Alan Shearer from Blackburn. This signing won him the confidence of Sir John, who eventually handed over the ruling of the club into the hands of Shepherd and Douglas Hall, Sir John’s son. It is from this time on, that the soul of Newcastle United has been vandalized without a sense of regret. Shepherd and Douglas were later exposed through a News of the World racket, where they seen mocking the club, its fans and Alan Shearer to a “Fake Sheikh” who was interested in setting up business with the club. Consequently, the pair had to resign subject to the fury of the fans and squad. However, this resignation was short-lived, and both Shepherd and Hall returned to office just ten months later. Shepherd took wrong advantage of his incumbency at Newcastle and committed several mistakes during his time. He sacked Ruud Gullit, Sir Bobby Robson, Graeme Souness, Glenn Roeder and Sam Allardyce – all of whom were his own appointments. Shepherd and Hall are also accused of being frivolous in their dedication towards improving the academy, training grounds and facilities, and being secretive in players’ transfer contracts and targets during Bobby Robson’s tenure. The Newcastle United board once upon a time decided to go public instead of being operated as a private company. It didn’t happen, and now Mike Ashley is at the helm. He might look like Peter Griffin from The Family Guy, but he is a far worse menace. Since taking over the club in 2007, Ashley has been nothing but a miser constantly looking for a Midas touch at a cheap cost. Kevin Keegan was appointed as the club’s manager in January 2008, but resigned just after nine months claiming that the owner was unwilling to provide any sort of financial support. 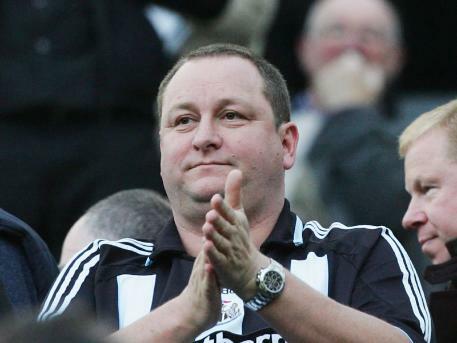 Mike Ashley immediately put the club up for sale following Keegan’s departure. Joe Kinnear then replaced Keegan, and soon after Ashley called the sale off. However, Kinnear quit as he was suffering from a heart condition, leading Ashley to approach club hero Alan Shearer. However, Newcastle’s fate with Shearer at the helm was not going to be the same as when he was a player. The club got relegated at the end of the 2008/09 season for the first time in 16 years. Ashley put the club up for sale again, this time for 100 million pounds. Upon finding no suitors, he took it off sale. Till date, Mike Ashley is considered as a man with no sense whatsoever when it comes to running a football club. Hatred against him has increased manifold after the unfair sacking of Chris Hughton, the same man who brought Newcastle back to the Premiership in just one season. The man has done everything possible in creating a dystopian ambience at St. James’ Park. 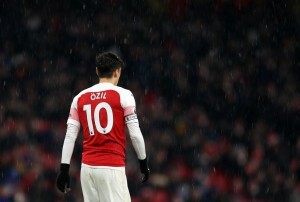 His club is lucky to survive the 2010/11 Premier League season, but if things continue the way they are, then we might witness the downfall of a club filled with love for the game, supported by fans who have chosen not to pay attention to their own lives for the sake of this club. We might witness the downfall of a club, which, since its genesis, has aspired to be one of England’s greatest and one of Europe’s elite football clubs. But sometimes football survives. When the love and endearment that fans carry for a club and the game metamorphoses into an unspoken message that echoes their undying support no matter what situation befalls the club, anything is possible. Now this write-up may or may not spark that very feeling, but it is an attempt to remind Newcastle fans that they will survive these tough times, as they have before. After all, they know as well as anyone else, that anything is open to a possibility in this beautiful game. Hang in there, you Geordies!